NPES 2019 is open for registrations! Take a look at the NPES 2019 agenda, and view this year’s speakers and sponsors. Øystein Moan, chairman of the board and CEO at Visma Øystein Moan was born in 1959 and is the Chairman of the board and CEO in Visma. Moan was appointed to be the CEO of Visma in 1997. Before his career in Visma, Moan founded Cinet in 1986 and was then the CEO in Cinet from 1993 to 1997. Moan holds a Master of Science in Computer Science from University of Oslo from 1983. Martin Welna (42) is Investment Director with Verdane Capital. 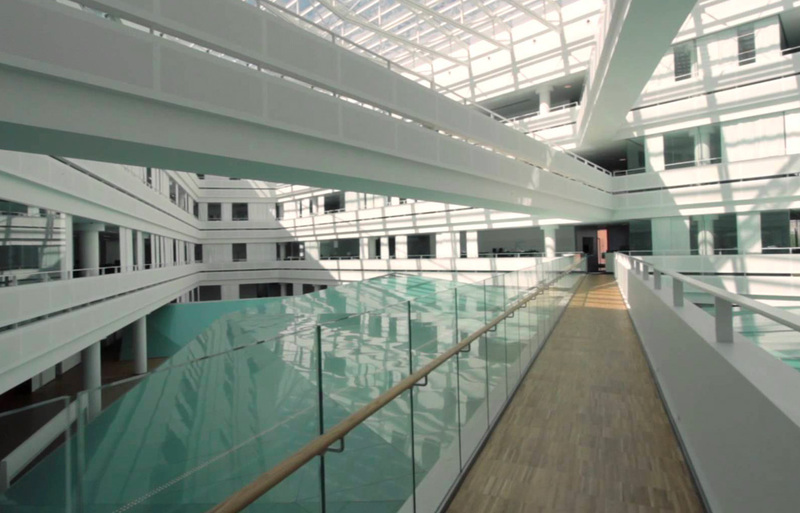 Verdane is a leading Nordic growth capital fund with offices in Denmark, Sweden, Norway, Finland, UK and Germany. Verdane focuses on investments in companies in Ecommerce, Software and Advanced Industrials. Verdane have invested in more than 30 Ecommerce businesses which includes e.g. Boozt.com (2012), Mathem (2010), OutNorth (2014). Martin Welna is responsible for Verdane’s Danish office. Martin Welna has more than 15 years of professional experience from Investment Banking, Private Equity as well as a corporate career. Jesper Breitenstein joined Axcel as head of investor relations in 2015. Before that Jesper has a long experience in raising capital in the public market including the IPO of Matas and prior to that, several other capital market transactions in his role as an equity analyst in the Nordic region for almost 15 years. Daniel Rygg is an Investment Director and part of the senior investment team at the Norwegian state-owned investor Argentum Asset Management where he has focused on primary- and secondary fund investments in Nordic and Northern European private equity funds. Before joining Argentum in 2007 he worked in the Global Investment Research division at Goldman Sachs International in London. Daniel holds a Msc in Finance from the Norwegian School of Economics and Business Administration (NHH). Managing Partner, Back Bay Life Science Advisors. Jonathan P. Gertler, MD, Back Bay Life Science Advisors Managing Partner and CEO, has over 30 years of clinical and scientific experience, and extensive advisory work with biotechnology, diagnostic, medical device and health care IT companies in both the private and public sector. A former vascular surgeon and founder of several life science companies, Dr. Gertler is a frequent speaker and writer on strategic issues facing life science companies at all stages. Ulrik Spork is chairman of Dansk Vækstkapital II and chairman/boardmember in a handful of emerging life-science companies, including MedTrace, Reapplix and Practio, and CEO of Salient Pharma and SporCon Lifescience Advisors. For 25 years Ulrik held leading position in the Novo Group, including Head of Corporate development in Novo Nordisk and, upon the establishment of Novo Holdings, Head of Venture Investments, Senior Partner in Novo Ventures, Managing Partner of Novo Growth Equity/Large Investments and part of executive management from 2009-2015. 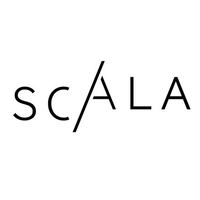 He was previously a board member and chairman of the Danish Venture Capital and Private Equity Association (DVCA). Kasim Kutay is the CEO of Copenhagen-based Novo Holdings A/S. Novo Holdings A/S is the holding and investment company of the Novo Group, with total assets of approximately $50 billion (as at December 31, 2018). Novo Holdings A/S's largest holdings are its controlling interests in Novo Nordisk, the world’s leading diabetes pharma company, and in Novozymes, the world’s leading bio-industrials company. Prior to joining Novo Holdings A/S, Kasim Kutay had 26 years of experience in investment banking with a focus on the healthcare sector. He started his career at Morgan Stanley, where he spent 18 years advising mainly healthcare companies. In 2009, Kasim Kutay joined Moelis & Company, a leading global independent investment bank. He was Co-head of Europe at Moelis & Company and also served on the bank's Management Committee. He joined Novo Holdings A/S as CEO in 2016. Kasim Kutay is a British citizen. He is fluent in English, French and Arabic. He holds a BSc in Economics and an MSc in Politics of the World Economy from the London School of Economics and Political Science. Master in Molecular Biology (Paris VI) and Master in Finance and Innovation Management (Masternova - AgroPariTech). Started at CDC Innovation from 2000 to 2003, later joining AGF Private Equity (now Idinvest Partners) where he developed the investment activity in the life sciences and made investments such as Novagali Pharma (listed on Euronext and acquired by Santen) Prosensa Therapeutics (listed on Nasdaq and acquired by Biomarin) Vivacta (acquired by Novartis), IntegraGen (listed on Alternext) Onxeo (listed on Euronext). Rémi joined Kurma Partners in 2010 and is in charge of investments in AM Pharma (The Netherlands), Orphazyme (Denmark), Oxthera (Sweden), Stat Diagnostica (Spain), Zealand Pharma (Denmark) and Dynacure (France). Søren joined Novo A/S in 2011 as Managing Investment Director of Novo Seeds. Søren obtained his MSc degree from the Technical University of Denmark in 1993 and his PhD degree in molecular biology in 1997 from the Technical University of Denmark. In addition, Søren has academic training as postdoctoral fellow at Stanford University School of Medicine. Prior to joining Novo Seeds, Søren served as global manager of Genomics at Novozymes. Before Novozymes, Søren was CSO and Vice President of R&D at Exiqon A/S. During Søren’s tenure, Exiqon completed an IPO and the company was acquired by Qiagen in 2016. Previously, Søren worked in cancer drug development as head of Lead Identification at BioImage and as research scientist at Novo Nordisk. Søren serves on the Board of Directors of EpiTherapeutics (sold to Gilead), AMRA, Biosyntia, Reapplix and Northsea Therapeutics. Since 2008, Søren has been board member of Danish Biotech (the Association of Biotechnology Industries in Denmark) and DVCA (Danish Venture Capital Association). Ms. Haimoff joined the Private Equity Group of JP Morgan Asset Management in May 2002 and is based in London. She has over 26 years of experience in private equity, both as a senior portfolio manager and as an advisor. She is responsible for sourcing, recommending and monitoring private equity funds, direct investments and secondary investments on behalf of institutional and private clients of JP Morgan Asset Management. She is a member of the PEG investment committee. Prior to joining the Group, she was a with Merrill Lynch’s Investment Bank in the private equity funds group where she advised institutional clients about private equity investing and worked alongside global private equity firms. She earned a BS with honours in major from Skidmore College and an MBA from Columbia Business School. Dana is the co-Founder of Level20, a leading European organization set up to encourage women to succeed in the private equity industry. She is also a member of the British Venture Capital Association’s Limited Partner Committee. Retail: Where could PE eat retail for lunch? Is ESG the new frontier in value creation? VCs: How can VCs improve the working relationship with entrepreneurs? LP tickets: LPs are offered 2 free entrance passes per organization to the Nordic Private Equity Summit. LPs entitled for complimentary passes include investments professionals from pension funds, fund of funds, insurance companies, foundations, endowments, sovereign wealth funds, and the like. DVCA reserves the right to interpret this rule in case of doubt. 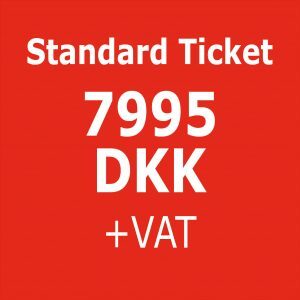 Contact the DVCA at dvca@dvca.dk about such tickets. Member tickets: For members of DVCA, NVP, ESTVCA, LTVCA, IVCA, CAPE, SECA, NVCA, BVA, BVK, PSIK, BVCA, FVCA and SVCA. 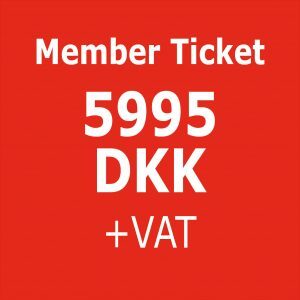 Standard tickets: Non-members of DVCA and the above mentioned associations. The Nordic Private Equity Summit will take place on June 21th 2018 from 8.30 am to 5.30 pm. Please note that there are only a limited number of parking spots available in EY’s underground parking. Parking on the large gravel car park opposite EY is not permitted. The Metro to Flintholm station can advantageously be used with only 2 minutes’ walk to EY’s headquarters and the conference.